People will play their favorite video games rain or shine. Fans of the Pokemon series are no exception. The phrase ?I want to be the very best? may repeat through the heads of many Pokemon addicts, but it?s a philosophy that can be shared by fans of any game. Pokemon is definitely unique when it comes to top caliber play. The entirety of the main series focuses on becoming the ultimate champion in your region. The journey to become a pokemon champion is a long one. It involves training many companions through some truly intense battles. Pokemon battles are obviously the focal point of the entire series, as they take place on many levels. Ranging from a back and forth rivalry, to encounters with wild pokemon, the series knows how to stress the importance of competitive gameplay. Despite the wide range of competition in Pokemon, there are few battles as important as sanctioned tournaments. The main Pokemon games may not feature as many tournaments as the cartoon does, but not once do they stray from stressing the importance of the Pokemon League. Following the seasonal calendar paradigm mentioned in my most recent Making a Pokemon MMORPG article would solidify a realistic chronology in gameplay. MMO ATK has even mentioned the game Victory: The Age of Racing in multiple Top 10 lists because of it?s unique racing tournament calendar, aligning with the Formula 1 racing circuit found in real life. MMO ATK user Oreolvrs thinks it would best work if the Pokemon MMORPG universe ran fully in real time, where one minute in the game equates to one minute in real life. This would be a fine idea, as many fans of the Pokemon series know what it?s like to follow a real schedule since the inclusion of a clock in generation II games. User Zamphire1 brought up how Pokemon Black & White already has Major League Gaming tournaments. Pokemon has video and card game tournaments every year. Putting tournaments directly into a game would make the competitive nature of the MMO flourish, without being accomplished in totally separate worlds (i.e. different game cartridges). Following a real time schedule would be tough for some players though. Many would find it unfair to have to stay up until the late hours of the night just to catch a Dark-type pokemon. If that?s the way they develop the game though, players will adapt; they always do. MMORPGs have always been about making sacrifices to obtain rare items. Sacrifices usually just entail a more time consuming endeavor, but many can be down right tasking and take more dedication than an actual job. Don?t expect to get your hands on any legendary or rare pokemon with ease. The closer developers get to a real-time chronology in a Pokemon MMO, the more successful the game with ultimately be. Tournaments could provide side methods for leveling during the year, while more importantly fulfilling the games classic storylines. The Elite 4 has to exists, so taking on a tournament lineup of the regions best trainers is technically always a goal. I mentioned including professions in a massive online universe, with the most famous profession already being modeled by the series protagonist. The point of Pokemon has always been to be the very best at battling. Providing players with more options toward ?being the very best? certainly won?t impede that famous mantra. Professional Trainers would be more focused on sanctioned victories than others, but bragging rights will ultimately be a satisfying consolation regardless of future goals. Tournaments will be the best way hosting fair pokemon battles, while avoiding the unwarranted aggression brought on by game centered on PvP experiences. Successful tournament play will also be a requirement for moving toward a career in Training. Sanctioned or not, tournaments will provide players with a way to win something special and stand out in a massive world. A seasonal calendar already opens the game up to themed tournaments. Letting players create vote on themes, along with creating their own, will let tournament play excel on a level that every fan can be happy with. Don?t you want to win that exclusive Halloween Tournament prize? Whether rare items buff your pokemon or just provide an esthetic twist, players love to accomplish something unique. The final benefit of including tournaments in a Pokemon MMORPG would actually be for the company that creates it, Nintendo. A game server can host a number of unique contests promoting future expansions and launch events. For example, Nintendo could host a tournament for their first MMO expansions. The winner of this tournament could be granted a new item from the planned expansion; or even receive a one of a kind treasure that emulates what?s to expect in the upcoming game addition. 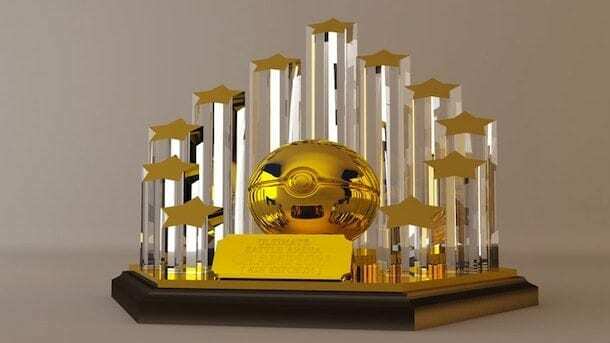 Winners of these tournaments, along with countless other competitions, will be etched into Pokemon history. Sanctioned tournaments will be limited throughout the year, and winning one could very well keep a players name on the records list for their entire MMO lifespan (at least in their server). Tournaments will absolutely be a region and time based endeavor. Many players will have to schedule their real life responsibilities around sanctioned matches, but this tends to be the case for special events in most MMO games. Maybe I?m missing something though. There seems to be clear benefit in tournament play in a Pokemon MMORPG. In fact, I dare readers to come up with ?good enough? reason why the sanctioned play wouldn?t work. Leave your comments below and keep checking back with MMO ATK in future weeks so we can finally make Nintendo realize how much better their brilliant creations can be.